Edraw can be used as an easy wireframe software for simple wireframes or working wireframe prototype. 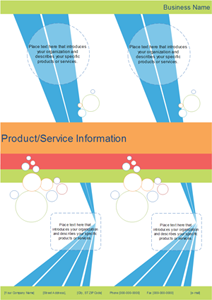 A website wireframe, also known as a page schematic or screen blueprint, is a visual guide that represents the skeletal framework of a website. The wireframe depicts the page layout or arrangement of the website's content, including interface elements and navigational systems, and how they work together. Edraw is the easiest and best-looking way to create and share interactive wireframe diagrams. Whether you're designing into a new windows UI, planning an iPhone interface or reorganizing your website, Edraw has the right tools for you. With Edraw you can recreate website ui, mac ui, ipad ui and iphone ui in just a few clicks and furnish your plans with thousands of ready-made symbols. Discover why Edraw is an awesome wireframe maker: Try it FREE. How to be faster? The answer is Drag & Drop Wireframing. With Edraw's drag & drop functionality you can create professional clickable wireframes quite quickly, making it even easier to visualize projects and involve key stakeholders. Easy wireframe software offers libraries of interface elements and allows you to make clickable wireframes with drag-and-drop wireframe symbols. 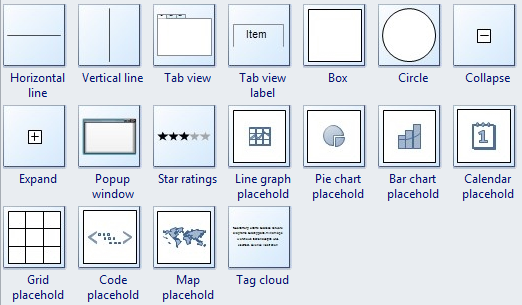 Various basic website interface symbols are also included for quick wireframing. 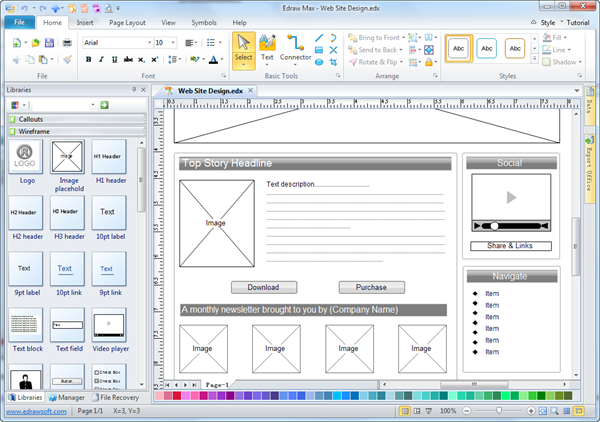 Edraw is an easy to use wireframe software available for both Windows UI wireframe and website wireframe. 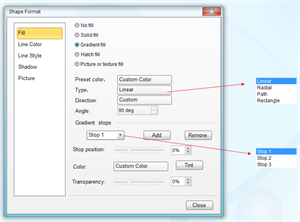 Features include multi-page documents, external object import, as well as aligning, z-ordering, scaling and rotation. Various templates are included as well as the ability to export to HTML, SVG, PNG, PowerPoint presentation, Word document, and PDF. 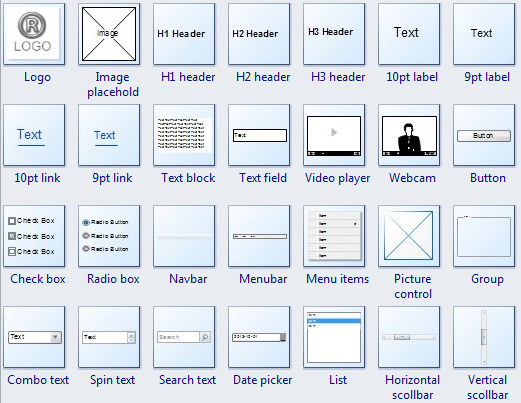 Contains special shapes for designing Windows 7 UI. This is an all-inclusive program that caters to every aspect of making fine wireframe. Your options of tools in making characteristic designs are endless. The only hinder you may encounter is making full use of it. Enhance interaction! Edraw lets you create all kinds of wireframes then print, share them directly with others. So it can dramatically improve communication with clients, colleagues and management. Success can be achieved more easily by creating intuitive drawing to bring ideas to life and help people understand vital design decisions. Save time! Output visually enriched specification documents in PDF or editable SVG file formats with only one-click. 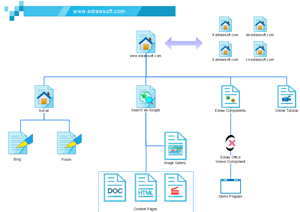 Edraw wireframe diagrams allow adding links, callouts, attachments and images. It can also export to PowerPoint, Word and any graphics format. Accelerate efficiency! In Edraw you can create customized templates that you can re-use again and again as custom element groups during your projects or in later future. Coders ensure that the framework will accommodate the vision. Writers judge space available and to determine what content is needed for each page. Graphic designers create consistent branding to work across the pages defined in the web wireframe. Testers make sure that branding, content, and navigation are precise.